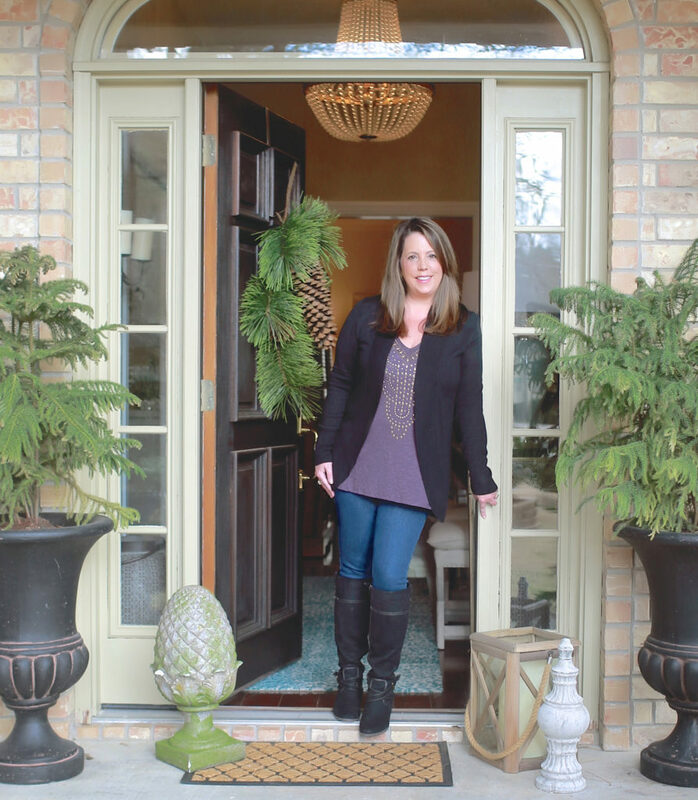 Wreaths offer a quick and easy way to dress up a wall or door, and with so many designs, styles, and material combinations available, you’re sure to find something to fit your décor every season. An added bonus: many wreaths are simple to DIY so you can customize your own exactly as you like. 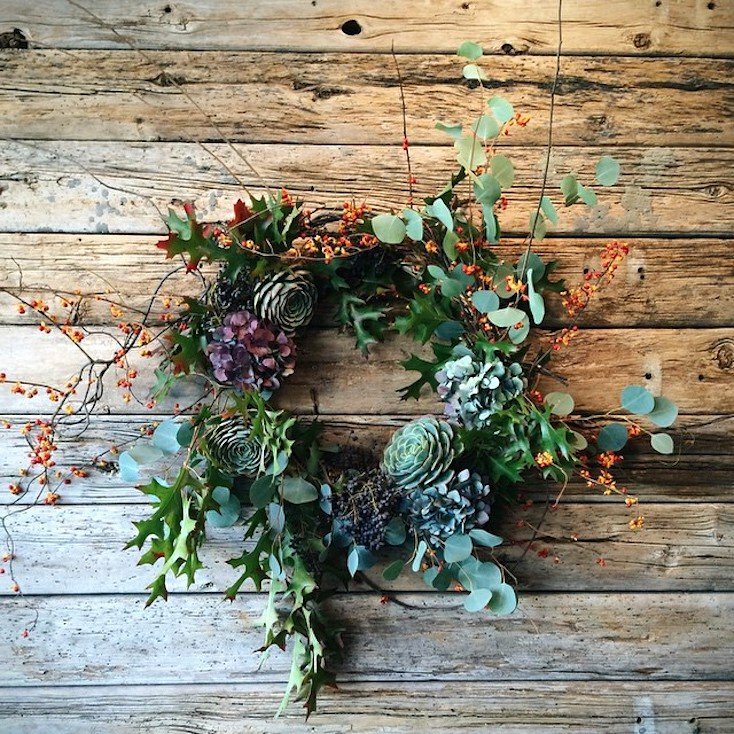 Today we’ve gathered some creative fall wreaths ideas that highlight how lovely and unique wreaths can be. 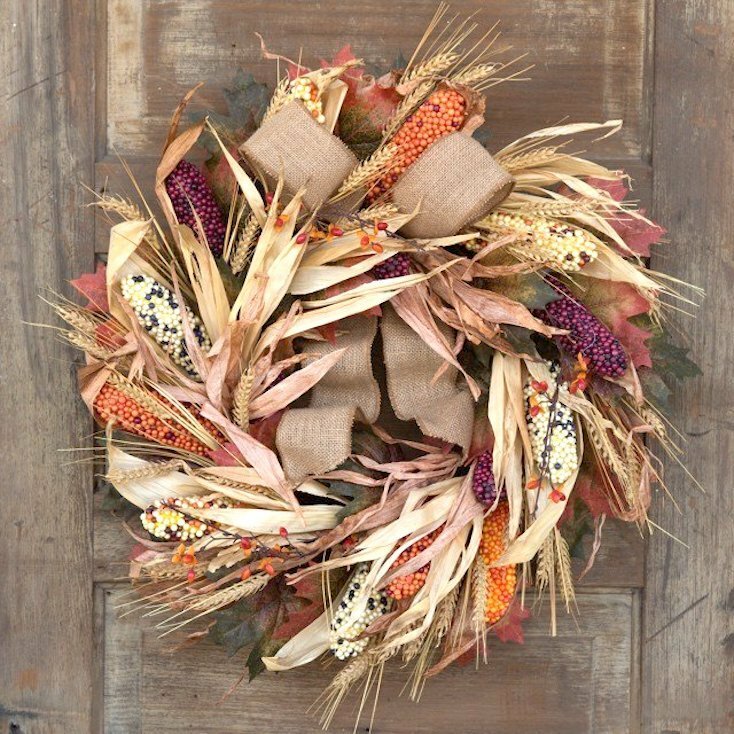 This gorgeous wreath is the epitome of fall with colorful corncobs and husks, dried wheat and grasses, and leaves in various shades. A pretty burlap bow ties it all together. 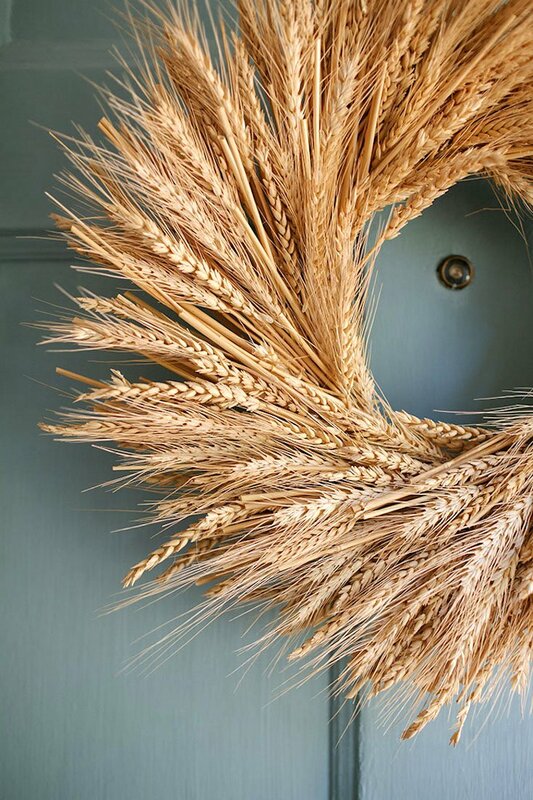 This dried wheat wreath is simple yet sophisticated. 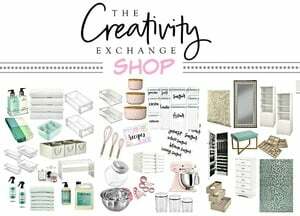 Learn to make your own with this video tutorial. 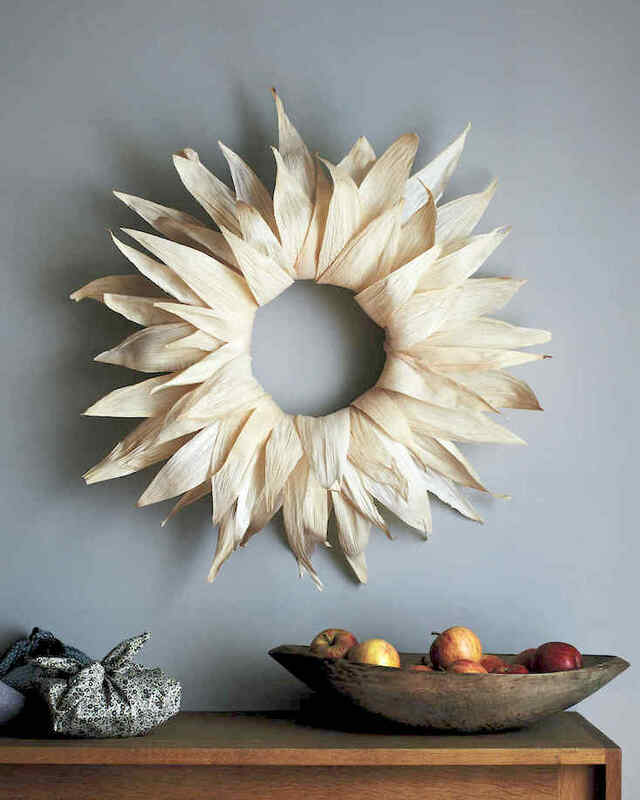 A unique take on a cornhusk wreath, this chic design carries the husks out from the center. 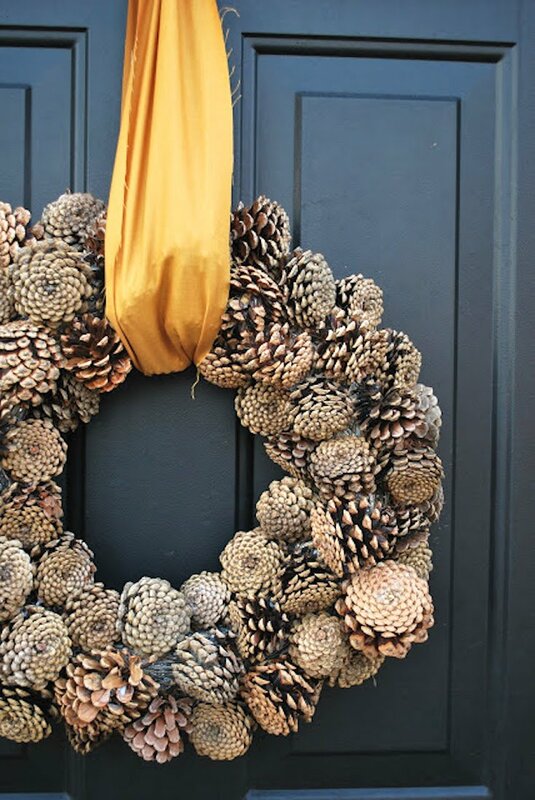 Another DIYable wreath, this pretty pinecone wreath has an understated elegance. 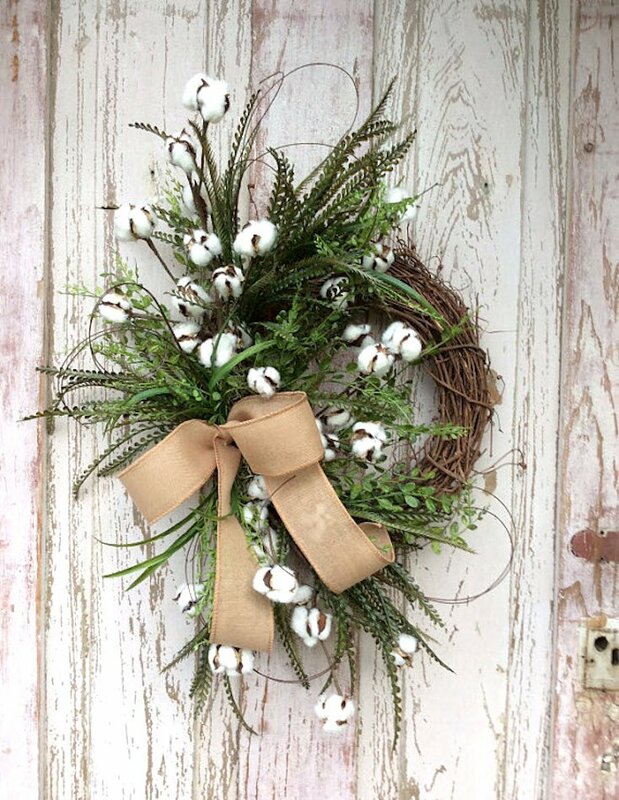 Farmhouse fans will love this cotton boll branch wreath that features a combination of ribbons in the bow. 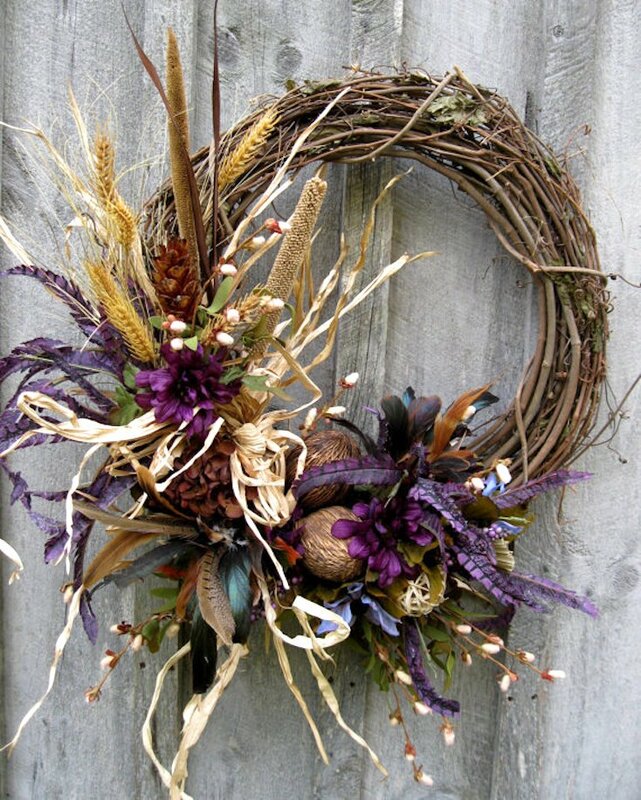 Add color to your fall palette with this stunning wreath made with wheat, grass, feathers, cattails, pods, and more. 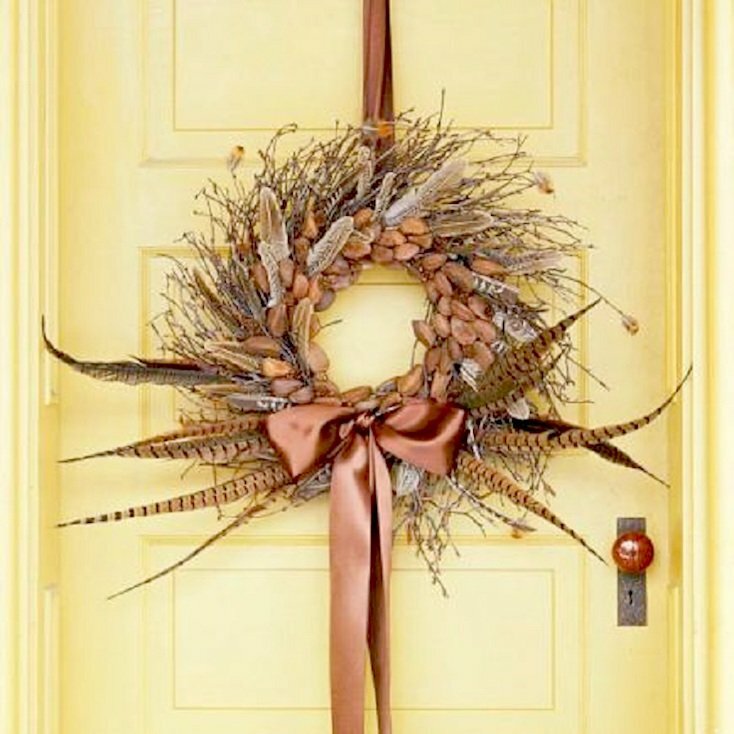 This natural twig wreath is adorned with eye-catching pheasant feathers and Brazil nuts. 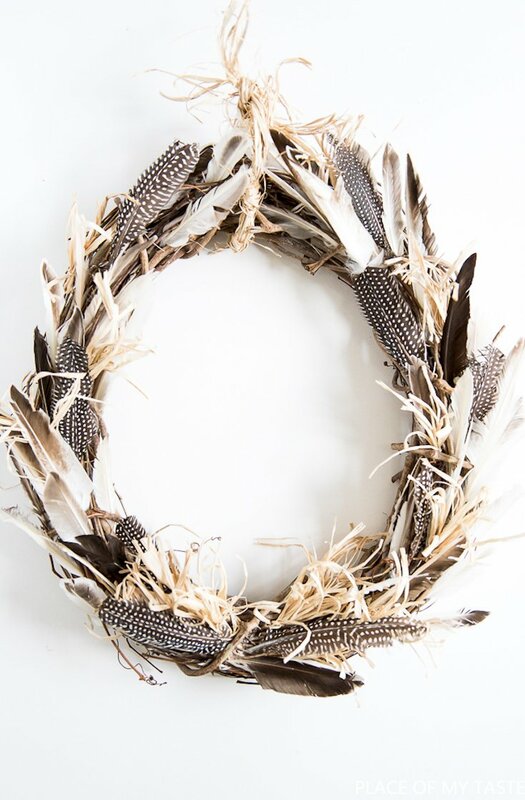 Multiple colors and patterns of feathers mix with dried grass in this Bohemian-inspired wreath. 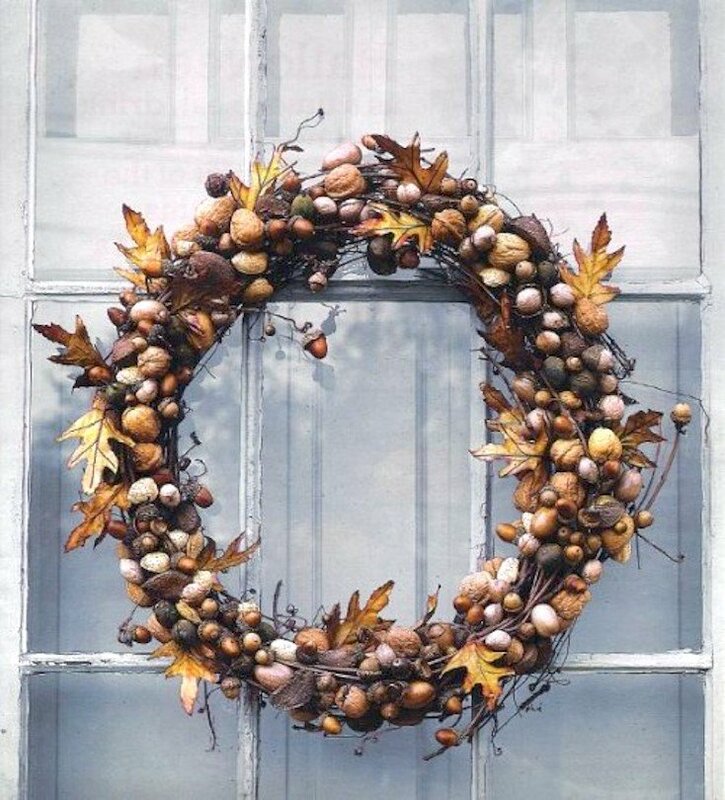 A fall classic, bittersweet vine just begs to be twisted into a lovely, rustic wreath. 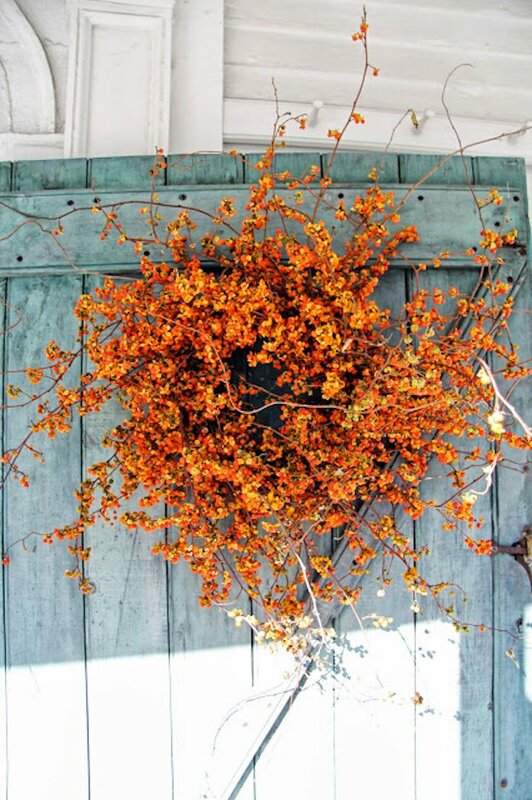 Fall wreaths aren’t limited only to brown hues, as this fantastic foraged fall wreath proves. 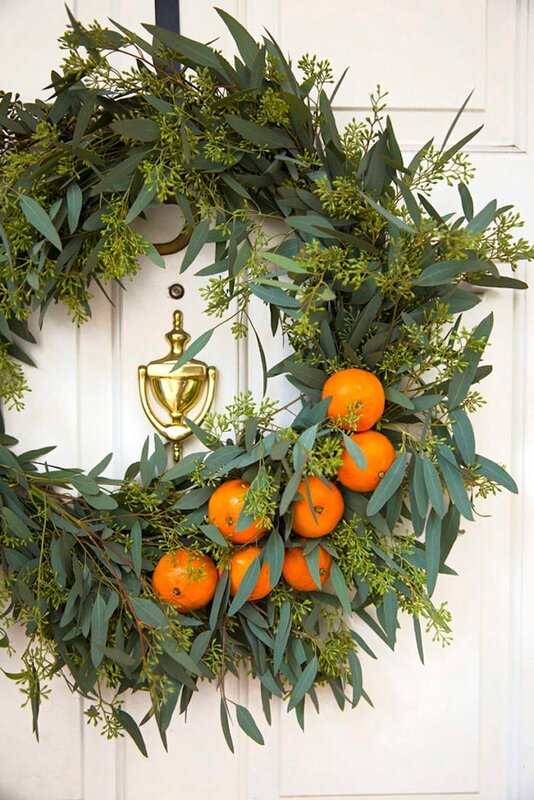 Harvest some eucalyptus from your yard, or your local florist, and you can create this attractive orange and eucalyptus wreath. 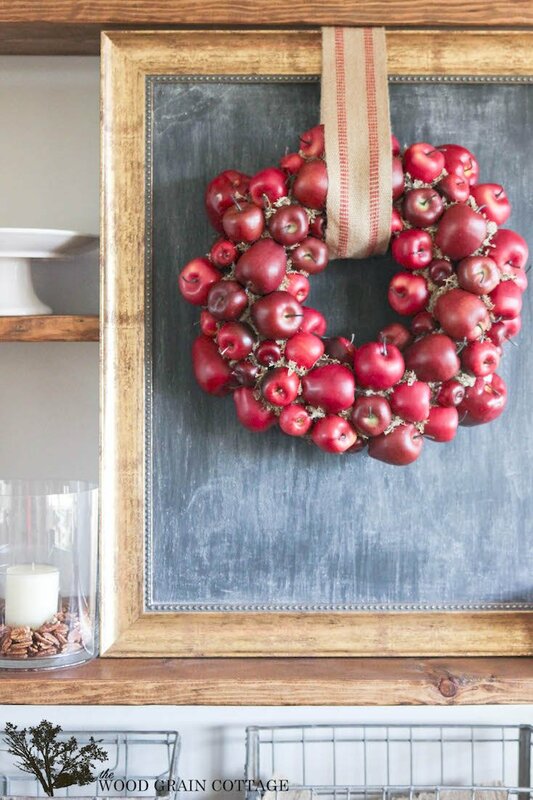 If fall means trekking to your local orchard for a day of apple-picking, this apple wreath might be perfect for you. Learn to make your own here. 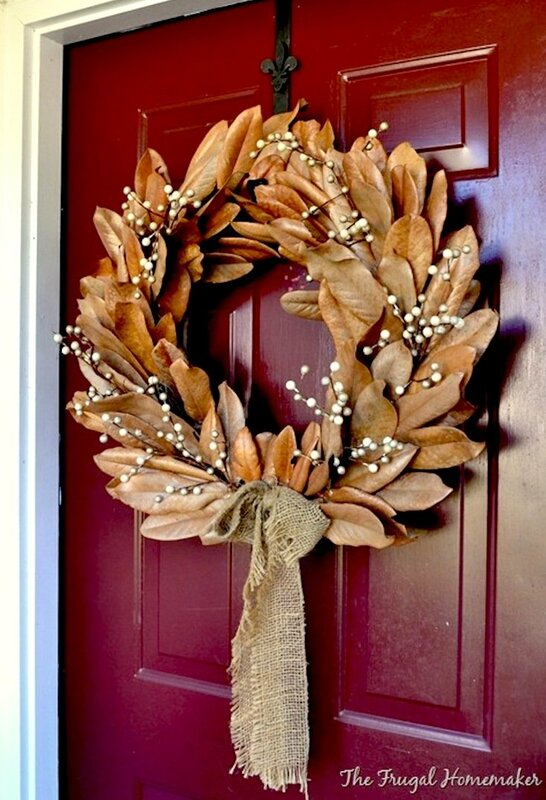 Dried magnolia leaves and sprigs of berries combine with a burlap bow in this natural fall wreath. The majority of the wreaths featured here include a natural element or two, but this charming scrap fabric wreath, perfect for neutral fall décor, is made with a perhaps surprising material: strips of drop cloth. Find the tutorial here. 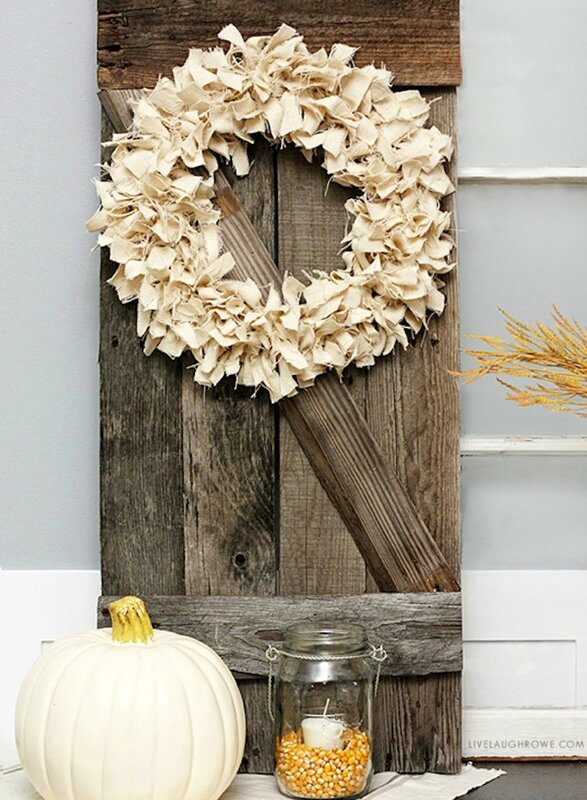 With so many creative fall wreaths, you have lots of options for adorning your walls and doors. Thank you for the wealth of ideas. I’m always inspired.